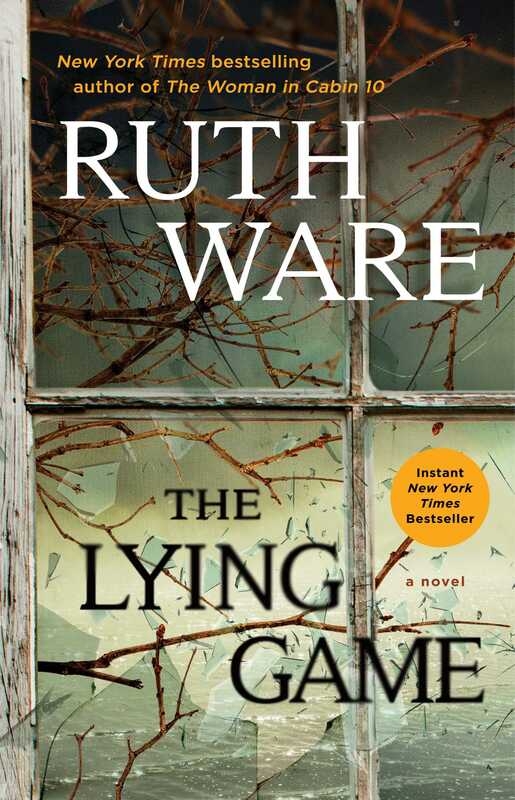 This readers group guide for The Lying Game includes an introduction, discussion questions, ideas for enhancing your book club, and a Q&A with author Ruth Ware. The suggested questions are intended to help your reading group find new and interesting angles and topics for your discussion. We hope that these ideas will enrich your conversation and increase your enjoyment of the book. On a cool June morning, a woman is walking her dog in the idyllic coastal village of Salten along a tidal estuary known as the Reach. Before she can stop him, the dog charges into the water to retrieve what first appears to be a wayward stick, but to her horror, turns out to be a human bone. The four girls were best friends at Salten, a second-rate boarding school set near the cliffs of the English Channel. Each different in their own way, the four became inseparable and were notorious for playing the Lying Game, telling lies at every turn to both fellow boarders and faculty. The rules of the game are strict: no lying to each other—ever. Bail on the lie when it becomes clear it is about to be found out. But their little game had consequences . . . and as the four converge in present-day Salten, they realize their shared past was not as safely buried as they had once thought. Atmospheric, twisty, and with just the right amount of chill to keep you wrong-footed, The Lying Game is told in Ruth Ware’s signature suspenseful style, lending itself to become another unputdownable thriller from the Agatha Christie of our time. 1. Describe the Lying Game and its rules. What inspired Thea originally to come up with the idea for the game? Why do she and Kate decide to include Fatima and Isa in the Lying Game? What about the game is appealing to the girls? 2. Isa says that Kate “knows what we’ll say—what we’ve always said, whenever we got that text” (p. 5). Were you surprised by how quickly Isa, Fatima, and Thea rushed down to Salten upon receiving Kate’s text? Why do they rush to her aid so quickly? Do you have any friends whom you would do the same for? 3. Describe the Tide Mill. What role has it played in the adolescence of the girls in the clique, and why is it so important to Kate, in particular? Isa is convinced that Kate will never leave the Tide Mill or Salten. Did you think she was correct in her assessment as the novel progressed? Why might Kate be unwilling or unable to leave? 4. When Isa and her friends reunite at Salten seventeen years after they have been dismissed from school there, Thea gives the same toast that she gave when they were students: “To us . . . May we never grow old” (p. 56). What is Isa’s reaction to Thea’s toast? Were you surprised by it? Why do you think Isa reacts the way she does? 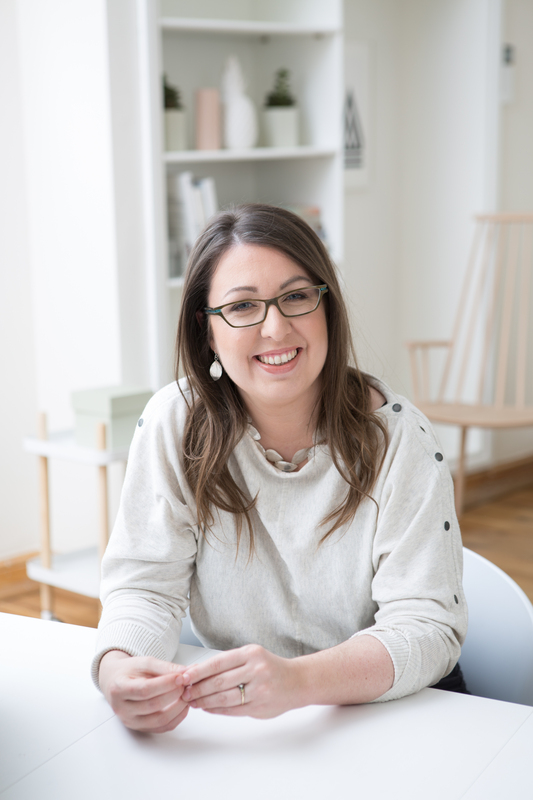 How has she changed since leaving Salten as a student? 5. Each section of The Lying Game begins with a rule from the game. What’s the effect of having the rules as chapter headings? How do they inform your reading of the story? 6. Isa says, “I once tried to describe Ambrose to an old boyfriend . . . but I found it almost impossible” (p. 73). How would you describe Ambrose? What kind of a teacher and parent was he? Mary Wren says that Ambrose would have done anything for his children whereas Fatima describes him as “an irresponsible fool” (p. 243). Why do each of the women feel so differently about Ambrose? What did you think of him? 7. Isa’s housemistress tells her, “I’m very glad you’ve found friends. But remember, part of being a well-rounded young woman is having a wide variety of friends” (p. 99). Do you agree with the housemistress? What were some of the benefits of having such close friends? Mary describes Isa and her friends as a “little clique” (p. 105). Is that an accurate description? How does Isa feel about Mary’s description and the clique itself as an adult? Were there any disadvantages to being part of it? 8. Rick praises Kate for staying in Salten, telling her, “Your dad was a good man, no matter what others in this place say, and you done well to stick it out here with the gossips” (p. 23). Do you think that Kate is brave for staying in Salten? Why or why not? Discuss some of the rumors about Kate and her father. What are they? Why might the townspeople find them plausible? Were there any rumors that you thought had merit? Which ones and why? 9. On Isa’s first morning back at the Mill, Kate discovers a dead sheep. Who or what did you think was responsible for the sheep’s death? Why? Describe the note that Isa finds in Kate’s pocket. What does it say? Although Isa’s initial impulse is to tell Fatima, “a kind of instinct takes over” (p. 88). Why doesn’t Isa tell Fatima about the note? Would you? 10. When Isa reflects upon the events that took place, she muses that she will tell Freya “a story about bravery, and selflessness, and sacrifice” (p. 366). Do you agree with Isa? Do any of the characters in The Lying Game embody the traits that Isa enumerates? If so, who? How would you characterize the events that have taken place at Salten both during Isa’s school days and at the friends’ reunion? 11. When describing the events that happened shortly before their expulsion from Salten, Thea proclaims that the girls had no choice but to take the actions that they did. Do you agree with Isa when she cries, “Of course we had a choice!” (p. 197). Why or why not? Why might the girls have felt that they had no other options in the moment? Do you think that Kate took advantage of her friends when she asked for their help? If so, how? 12. Although Isa wants to tell Owen what she and her friends did while they were students at Salten, she feels she “can’t. Because it’s not only my secret—it’s theirs, too. And I have no right to betray them” (p. 223). Do you agree with Isa’s decision to withhold this information from Owen? Explain your answer. Do you think that there are any instances when it is permissible to betray a shared secret? If so, what are they? 13. Isa says that she and her friends “have spent seventeen years running and hiding, in our different ways” (p. 93). What are they hiding from? Describe the ways that each of the women has attempted to run from their shared past. Have any of their attempts been successful? Why or why not? 14. What were your initial impressions of Luc? Did you trust him? Why or why not? Describe his relationship with Ambrose and Kate. Were you surprised by his anger as an adult? Why does he harbor such resentment toward Kate? Do you think he is justified in doing so? 1. When Isa is on the way to Salten, she muses, “It is heart-stoppingly familiar. London, in all the years I’ve lived there, has been constantly changing . . . But this line, this journey—it hasn’t changed at all” (p. 15). Are there any places in your life that remain unchanged? What are they? Tell your book club about them. 2. Of Kate, Fatima, and Thea, Isa says, “I can’t tell where I end and the others begin” (p. 143). Do you have friends like Isa’s? Share some details with your book club. 3. When you were in school, did you play any games like the Lying Game with your friends? If so, what did you call them? Tell your book club about the games you played, explaining the rules. 4. Owen treats Isa to a day at a spa and, although she doesn’t think it will help her relax, when she gives herself “over to the practiced hands of the spa therapist . . . somehow all the obsessive thoughts are pummeled out of me” (p. 260). Have you ever been to a spa? Did you find it similarly relaxing? Plan a spa day with your book club and unwind together. 5. To learn more about Ruth Ware, read excerpts from her books, and find out if she will be in a city near you, visit her official site at ruthware.com. You can also follow Ruth Ware on twitter at @ruthwarewriter for regular updates on her writing. Both of your previous novels have been New York Times bestsellers. Given the success of your earlier books, did you feel any added pressure when writing The Lying Game? If so, how did you deal with it while you were writing? I found the success of In a Dark, Dark Wood really distracting when I was writing The Woman in Cabin 10, but in a way the fact that Cabin 10 was doing well felt quite freeing while I was writing The Lying Game. I suppose my biggest worry was proving a “one-hit wonder.” The fact that Cabin 10 was giving Wood a run for its money made me feel like I was (hopefully) not just going to be a flash in the pan as a writer. As a New York Times bestselling novelist, do you have any advice for aspiring writers? Is there anything that you wish you had known when you first began your career as a professional writer? Oh, I wish there was a magic fix or some piece of advice that would smooth everything out—I’d bottle it and make a fortune! The only advice I can give to aspiring writers is to write the book that you would want to read, and hope other people agree. As for the publishing side . . . I guess one can do worse than follow the advice Rudyard Kipling gave in his poem “If,” particularly meeting with triumph and disaster just the same (which I interpret as good and bad reviews!). You describe Salten and the girls’ experiences there so vividly. Was Salten based on a real place? How did you come up with it? The landscape around Salten is sort of loosely based on Romney Marsh on the south coast, which is eerily beautiful and very isolated. But the Tide Mill is based on one I drove past one misty morning in northern France, in Brittany. It’s near a place called Saint-Suliac. The place I saw is definitely not habitable—it was quite clearly dilapidated beyond repair—but I was completely entranced by the landscape—the bleak, wide salt marshes, the bleached blue skies, and this black crumbling hulk slowly disappearing into the sea. I knew there and then I would end up putting it into a book. The Lying Game is intricately plotted and filled with unexpected twists. When you began writing, did you know how the story would end? I had the bones of the story in place from the outset, and the final cataclysmic scene at the Mill was in my mind from the beginning. But the exact twists and turns (including who was responsible for some of the creepier happenings) only revealed themselves in the writing. There are so many memorable scenes in The Lying Game, from Isa’s train ride down to Salten where she meets Kate and Thea to the girls’ weekends at the Tide Mill. What were your favorite scenes to write? Why? Ooh . . . hard question! Possibly my favorite was the scene where Isa meets Mary Wren at the post office for the first time. I love writing a scene with a good measure of conflict. But I also love the scenes where all the women are together, figuring stuff out. I really enjoy writing about female friendship. It’s an endlessly interesting dynamic for me. In The Lying Game, the action alternates between the past when the girls were in school at Salten and present day. Was it difficult to switch between time periods while you were writing? Can you tell us about your writing process? I write as if I’m someone reading the book—often people ask if I write one strand first, and then go back and seed in the other, but I don’t think I could keep track of who knows what, and the tension would come out wrong, so the answer is no—I write it more or less in the order you read it. (The more or less part being because sometimes my editors will ask me to go back and add an extra scene here or there.) I didn’t find it hard at all to switch back and forth; it felt very natural because the present strand is in the present tense, and the past strand is all linked to Isa’s memories. It did make it hard to edit, however. Normally you can move scenes around if you need to, to preserve a reveal for later in the book, or prolong the tension for some reason. But because all the past scenes are triggered by Isa’s memories—often by specific things that happen in the present-day narrative—it meant that it was really hard to change things. Kirkus Reviews, Bustle, and Metro have all compared your writing to Agatha Christie’s. Were you influenced by Christie’s novels? Are there any other authors who have inspired you? Who are they? I love Christie. I read her a huge amount as a teen and I still think there’s little more satisfying than curling up in front of the fire with a sumptuous Christie adaptation on the TV! But for this book, I think I was maybe more influenced by all the boarding school stories I read as a child. There’s maybe a bit of The Secret History in there, too. Is there anything that has been particularly rewarding about publishing The Lying Game? If so, what? Well, as I’m writing this, it hasn’t yet come out—so I’m still waiting for the most rewarding part, which is talking to readers and finding out what they made of my characters. What would you like your readers to take away from The Lying Game? What compelled you to write it? I’m quite resistant to telling people what they are supposed to find in a book—I don't like it as a reader, and so I try not to tell people how they should react, although I’m always interested in the different things people pick up on. But I suppose what compelled me to write it was thinking about the priorities in our lives and how our loyalties shift throughout our lifetimes—how we go from being small children, completely focused on our parents, to teens wrapped up in our friends, to love affairs, and then finally we become parents ourselves and that focus moves to our own children, and we would sacrifice almost anything to keep them safe. I’m not sure if I realized that that’s what I was writing about until I’d finished, though! I’m about to start my fourth book! It’s way too early to say very much about it, because I’m not sure if I’ve figured it out myself yet, but I think it might feature a bequest. . . .